I assembled this from parts I had lying around. 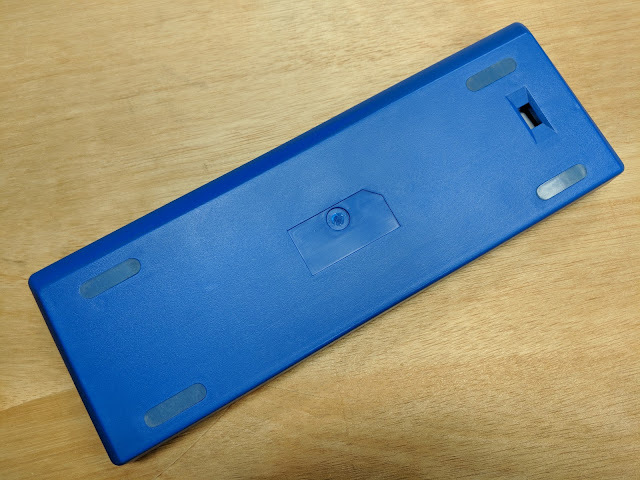 It has an older version of the Winkeyless b.face PCB and a cheap plastic case from Aliexpress. The plate is 1/16 inch birch plywood laser cut from a design from http://builder.swillkb.com. Costar stabilizers clipped into the plywood. The layout has the maximum number of keys you can have on a b.face. 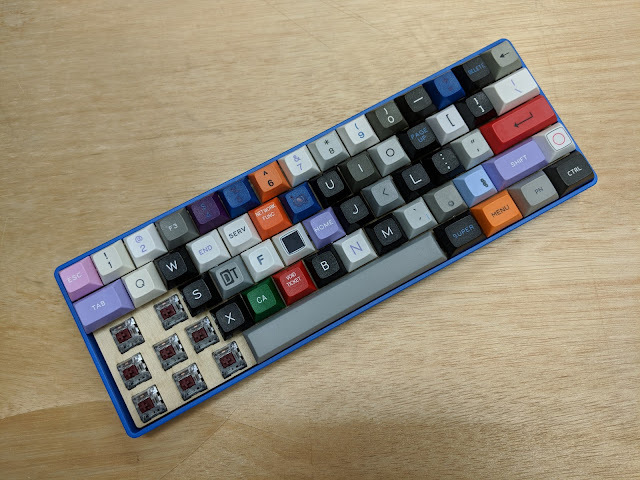 Split backspace and short left and right shifts, give you 3 extra keys over the standard ANSI layout. 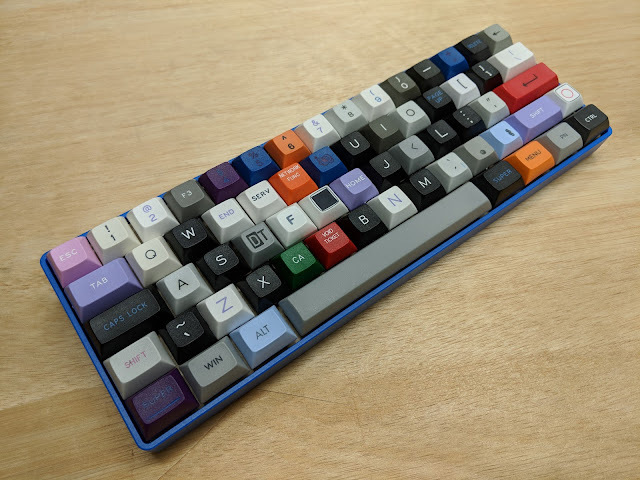 Keycaps are DSA from a PMK grab bag. 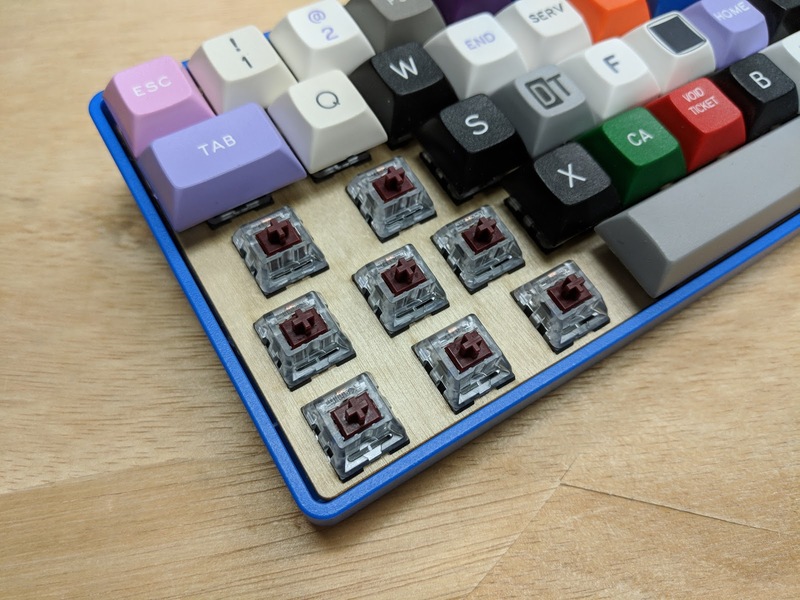 Switches are Kailh Copper tactile. With the wood plate, this is a very light keyboard.